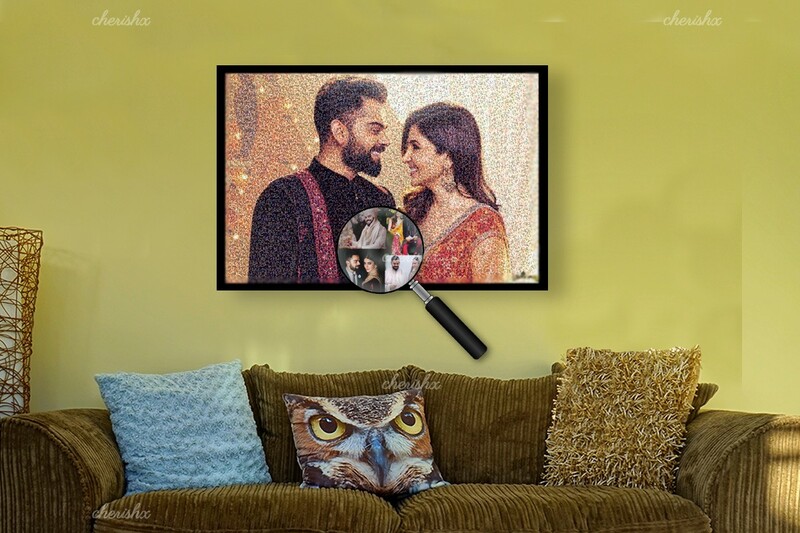 Express your love by gifting your loved one an epic picture! 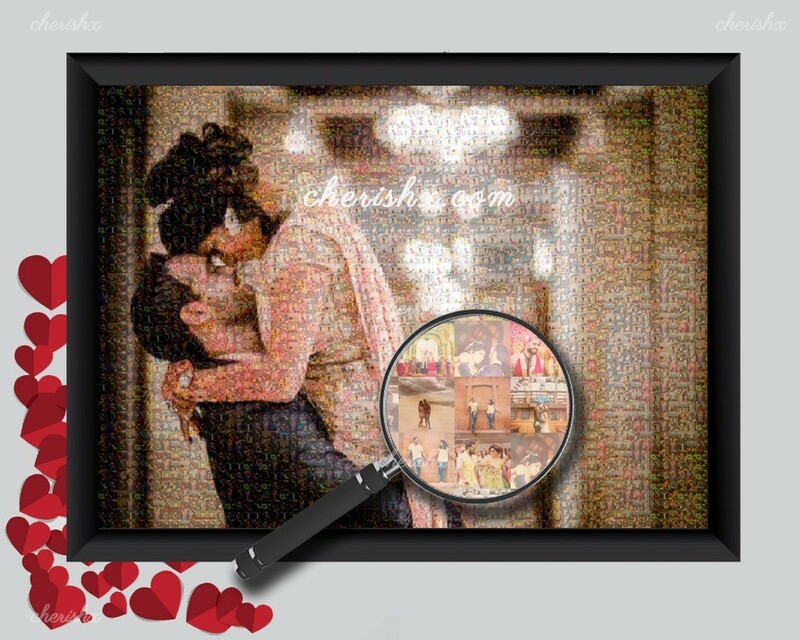 This is not just “a” picture, this picture of made out of several smaller, hundreds of pictures! From a distance the big picture looks great, and up close you can spend hours looking at the smaller enjoyable pictures. A great designer gift. Once you’ve booked this experience, you will get an email with instructions on how you can upload your pictures. 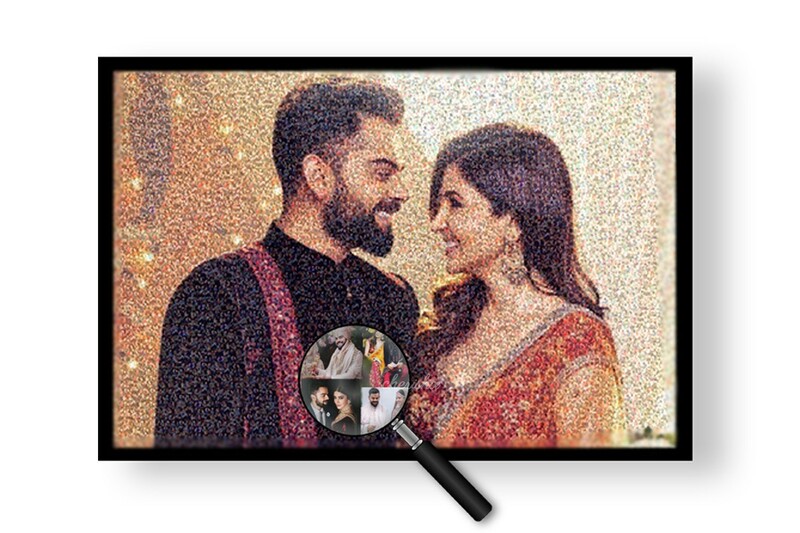 We will need a soft / digital copy of 1 picture that want to you be the overall picture and lots (upto 300) small pictures, more the merrier. 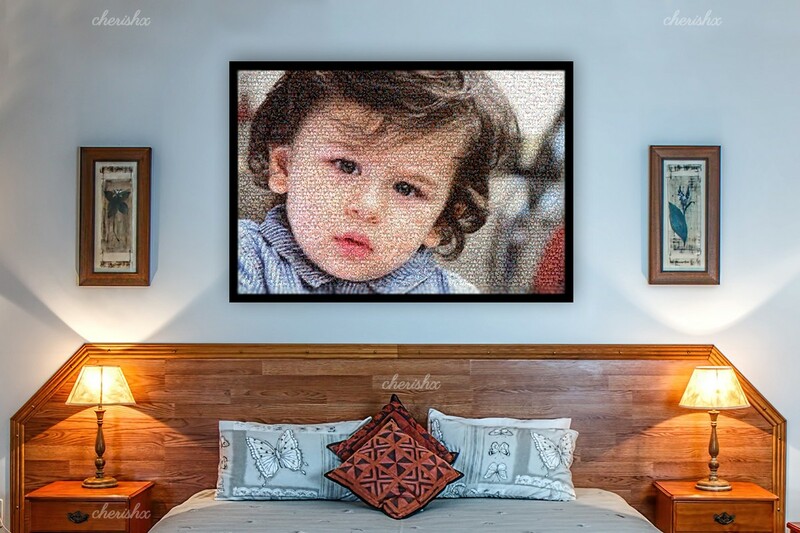 From there on, a designer will be assigned to your job to artistically stitch hundreds of your photos to create a big memorable epic picture. 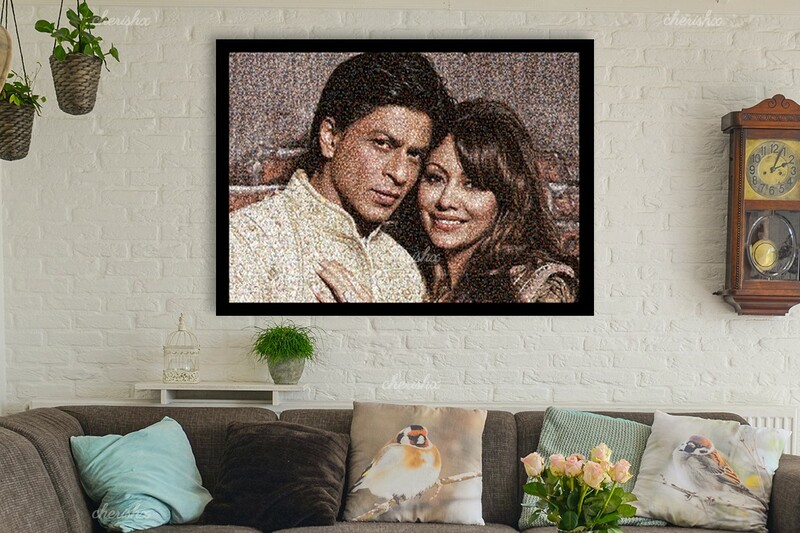 This picture is then printed on a A3 size (approx 16 inch * 20 inch) big canvas frame as part of the standard package and is great in itself. However the most popular size is our XL frame (A2 size - approx 20 x 30 inches) and the most majestic of the lot is the XXL frame (A1 size - approx 30 x 40 inches). If you are planning to put this frame in your big living room wall or another long wall of the house, then we recommend the XXL frame. These XL and XXL upgrades can be added on the next customisation screen. The “Picture of Picture” would be shipped to your delivery address in about 6 days after the booking. You can select the 2 day express delivery customisation for accelerated photo designing & delivery (the express delivery is currently only available in Delhi NCR). All in all a great thoughtful gift for your friend’s wedding, husband’s birthday, anniversary, for sister on raksha bandhan, graduation day present for your child and most occasions. What is the min and max no. of pictures that i can provide? We recommend that you provide as many pictures as you can. More no. of pictures will reduce the repetitions. How will you take the pictures? After your booking is complete, you receive a mail with google drive link. You need to upload the pictures using that link. It is delivered at your chosen date and time slot. Do you share the draft before printing it? Yes we share soft copy of the picture over mail for confirmation before sending it for printing. What is the size of a regular frame? 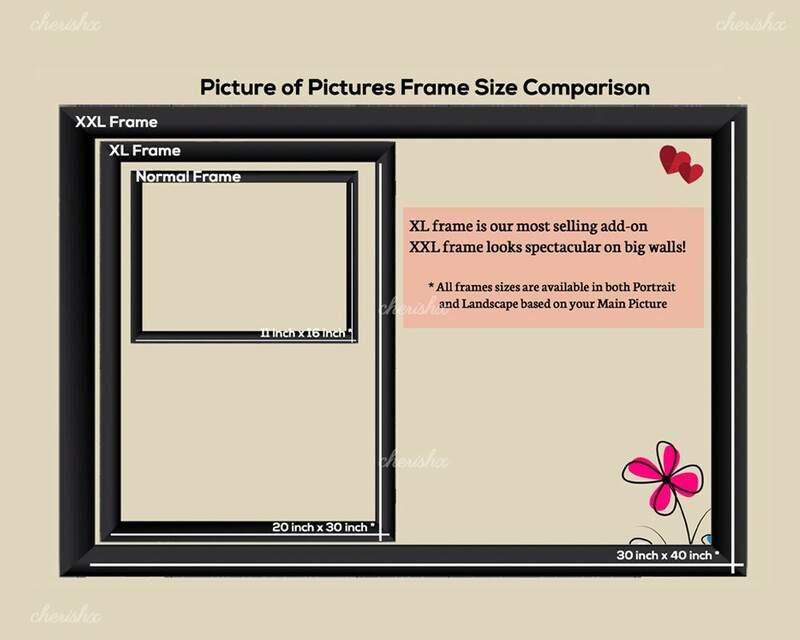 Regular frame size is A3 ie 12* 18 inches. However it also depends on your main picture dimensions. What is xl and xxl size? Can it be delivered outside Delhi? This can be delivered all over India. Date of delivery will depend from location to location. Can your designer assist in choosing the main image? Yes, you may share some 4-5 pictures with the designer and he will help you choose the main image. Is it a wooden frame?